Here we go with round three of the antiques, what is it game.Seems like a lot of you out there like this new format and are sending me lots of pictures and questions. Thanks for the great response. If you are sending a picture, question about an item that has a markers mark or name, I would need to know that information. A picture, the best possible ,of the mark would be very helpful. Sometimes I can tell from just looking at the item, but to do real research, the marks, signature,etc. would be of great help! Now that I have scolded you all, here we go. The first item today was sent in by CINDY PACHECO. She has sent a couple of pictures of a lady statue. At first glance one would think that she is French. Her hair-do and custom is very much so. When in fact, Cindy, she is American. The Germans were the first to make what we refer to as," Dresden Lace." It is a process where real lace is dipped into liquid ceramic and applied to a green ware statue. When that statue is fired in the kilm, the lace burns away and the design hardens and stays in place. Dresden was a town in Germany where lots and lots of porcelain factories were located, and all of this type of work was soon called, " Dresden." I did a very long and detailed blog about this some time back. 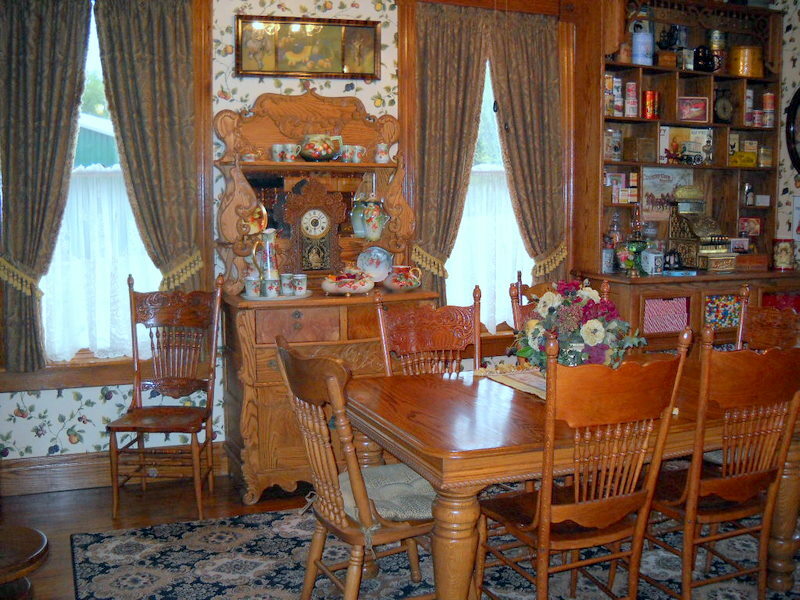 Just click into your search bar, dresdenlace myoldhistorichouse. it should pop right up.Your statue, I believe was made in American in and around 1920's or so. Americans were taken with old French fashions, via Television and Movies. While there is no mark to prove this, I feel, I am pretty sure I am right. It is a darling decorative statue. I love the story book character of it. I would say that it does not have a strong market at this time and the price would be some where around $25.00. It could command more in some places, especially if there was two collected after it. Thanks Cindy, I hope this helps. The next item came in from BJ at SWEET NOTHINGS. She has send a picture of a clock. She tells me that the clock was black when it was first found and I believe her mother painted it white. The clock is metal. Well, BJ, your mother would fit right in, in todays world, where every one is painting everything white. I know it is a trend, I know it is fun and I know people can not help them self. I wish sometimes they could. I have had several people blog and say they were going to paint a wonderful old thing white. Gives me nightmares. I just saved a 1700's French Louis Phippe chest from the paint brush. Lord have mercy!!!! If you need to paint, paint junk, used furniture, it will do just as well as a wonderful old antique. In the antique world condition is everything. 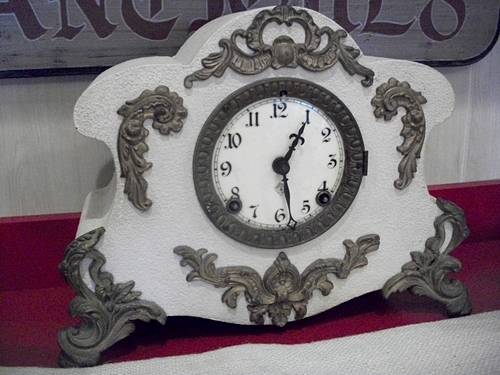 Your clock was original a gun metal color of cast iron with brass trim. It was made during the industrial revolution when things were being mass produced. it is hard to tell you a lot more as I would need to know who made it, "marks". You can see that the metal is a little rough, and this was done on purpose. While your clock looks fun white, it should not be. If the paint could be removed it would bring up it's value. If you like it white, then, there you are. Clock collectors are funny people. They have many and usually only look for a rare one. This clock is not rare, so would not be worth millions. I would say a fair price would be $125.00. Not painted maybe $225.00 In the Shabby Chick world, people who love white paint, maybe around $50.00. I hope this helps, not hurts, BJ? The last question today was sent in by CHRIS and JAY LELAND. And oddly enough, it is another Dome! This one is what we call a Victorian Parlor Dome. All well appointed Victorian homes had one. They were usually displayed on the Parlor center table. The domes were imported and held many items. 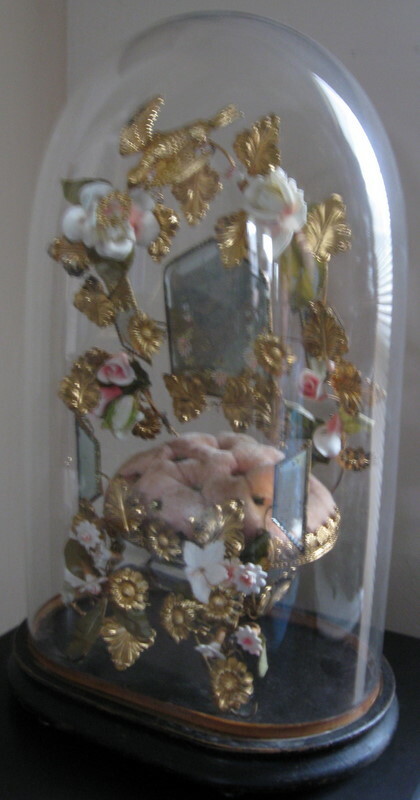 The one that Chris and Jay are asking about has wax flowers inside. 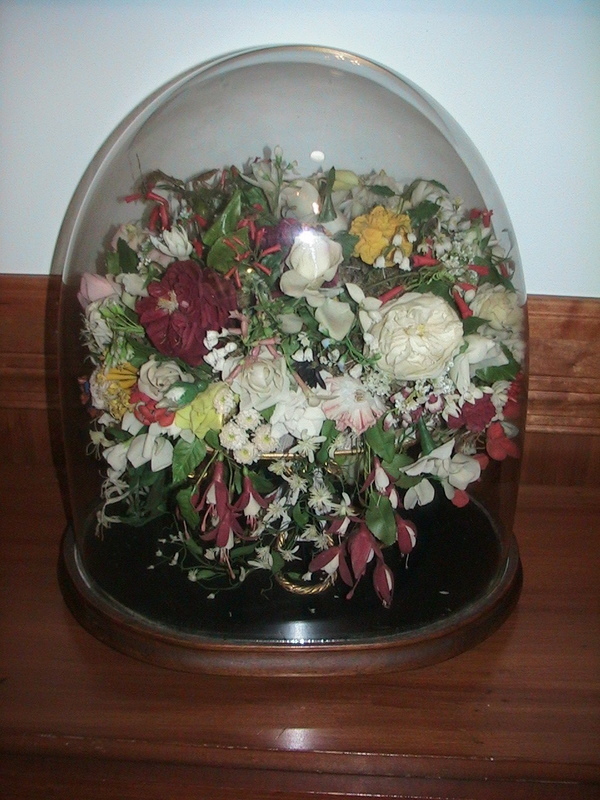 Again I am going to cut this short, and send you to a blog that I did all about these domes. Just click in your search bar, parlordomes,adifferentkindofflowerarrangemnts,myoldhistorichouse. It should pop right up. As for the value of your dome? Again the market is good now. People like us on the blogs have made them popular. People like me are crazy over them, so we often over pay. I would expect to see a price of $400 to $800 for your dome. I hope this helps,Chris and Jay. Thanks for your pictures and questions. Send me some more. Remember send them to my email. www.cottrellprissy@aol.com. and if there is a makers mark, a picture of it would help. I look forward to seeing what you have and until next time, keep on blogging. Richard and Sissy Dog the Beagle. 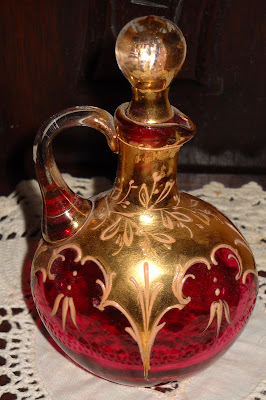 Today I am posted the second question and answer since I opened this forum about antiques. In case you are just now joining in, I am offering advice and answers about antiques. Please send questions and pictures via my email, as they are easier for me to download. I will then feature your items and questions on the next blog post. Please pass the word along, if you know any one who might need some help. I have two bloggers that have sent me pictures and questions. The first one is Trish, and she has a question about her clock. Here are the pictures she sent me. The questions were, age, value and any other information I could give her. Trish, your clock is from the 21 century, easy to tell, because it is electric. The maker was trying to copy an older version. 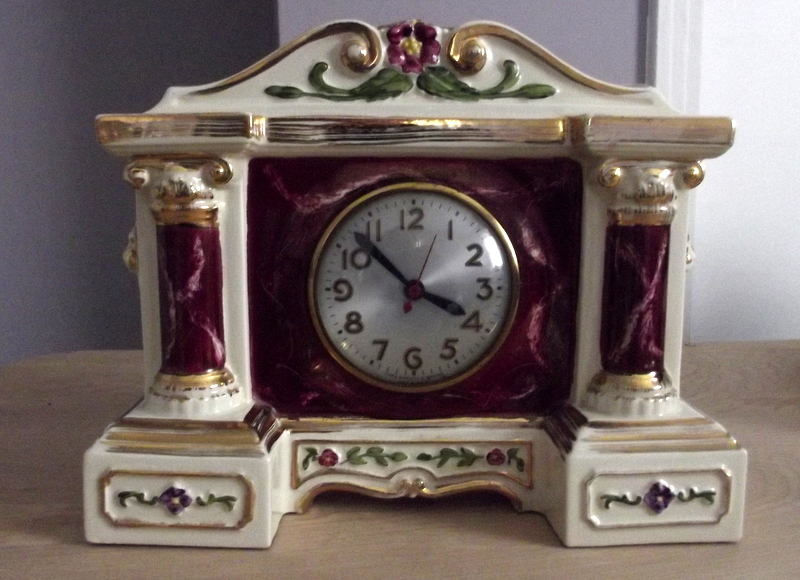 The original china mantle clocks came around toward the middle to the end of the 1800's. A few were made in the early 1900's as well. 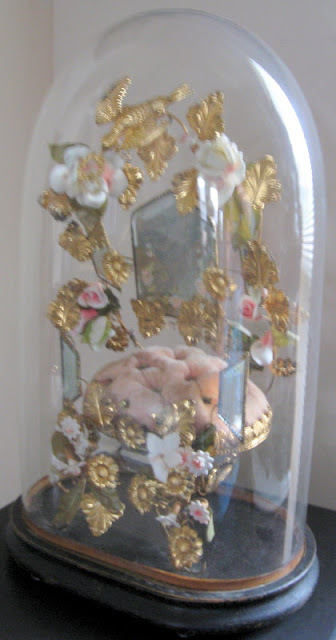 They were designed to set on a mantle in a formal parlor or ladies bed room. Hand painted china was very much in vogue during this time, and home owners wanted a lot of it. So the clock makers did there version of this. Most of them were transfered and not hand painted. The porcelain was what is called, "soft paste," and what we might call pottery. It was not a fine, thin china. 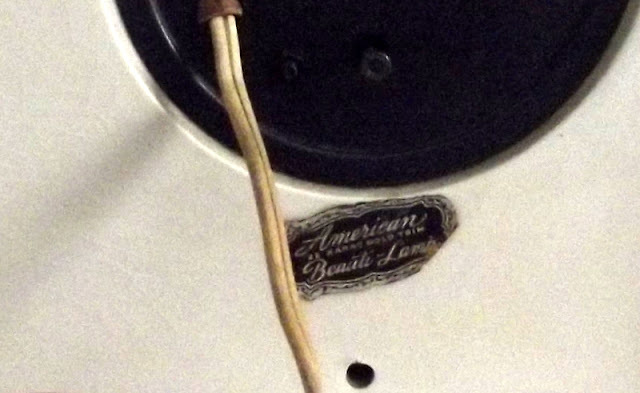 The original clocks were made in many countries and often shipped to America where the clock was installed. 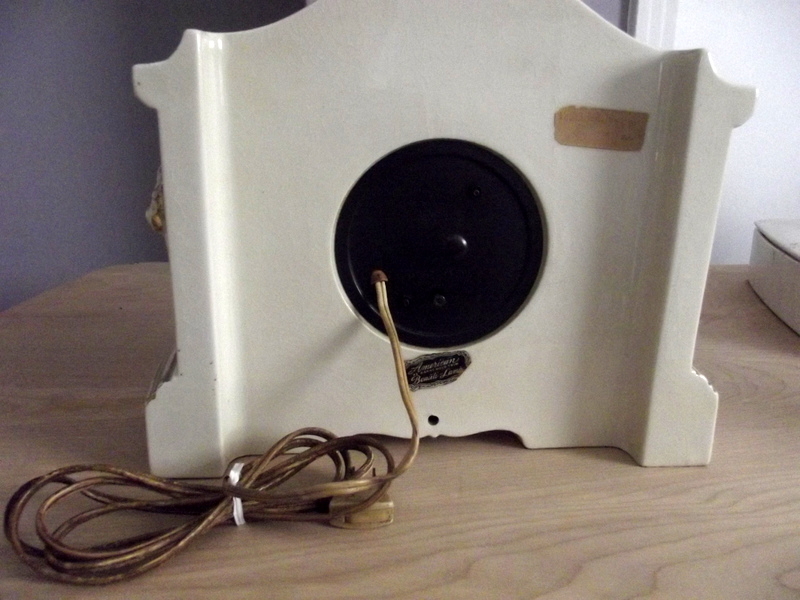 it was very rare that one company made both the case and the clock works.Your clock is from the 50's and is a molded ceramic. It is hand decorated, like the marble looking columns and gold trim were hand applied. The gold was real gold powder that was mixed with oil to make a paint. It can not be removed and sold as gold as there is such a small amount to start with and the firing process takes away it's gold value. There were lots of companies that made these clocks. They were a side line and sold to gift shops, dime stores, furniture stores and jewelry stories. The did not make millions and not that many are left out there. In today's world, which is much less cluttered, they are not real desirable. Some shops might ask around $126-$150 for these clocks. I would say a better price , of $95 to $75, would be more realistic. Hope this helps. As far as the company, I could not see the name that well, so could not research. If you send me a better picture of there sticker, I will see what I can do. Thanks!!!! Please send me your questions, pictures and I will do my best to give you my best answer, I have lots of research books along with many, many, years in the business. Stop by soon. Richard and Sissy Dog! This is my first blog post about Antiques. A while back I asked readers to send pictures and ask questions about there antiques. I have one today to share with you. This question is coming from Gina and her blog is: Victorian Want to be. Her question is about the item pictured here. She bought it an an auction and wants to know, it's age, what it is, and maybe who made it and of course, what is it worth. Gina had thought that perhaps it was a perfume bottle. Well, that is not right. I am afraid a bottle this big would hold more perfume than the average person who want to pay for. Actually this is a cruet. It is what we all refer to as, " Cranberry Glass." Cranberry glass was made by many companies and in many countries. including America. It is a process that is done by adding gold(oxide) to molten glass. It is most often made in small batches, due to the cost of gold. The oxide is made by dissolving gold in metric acid and hydrochloric acid. The finished glass is a type of colloid - a solid(gold) dispersed into another solid (glass). The most famous maker of Cranberry glass was the Moser Glass Company. The company based in the Czech Republic , previously Bohemia and Austria .Due to it's quality is has become one of the most collected glass in the 20 and 21 century. Often chosen by Royals for there palaces. The Moser glass is often decorated with Gold and tiny floral designs. This is how most people associate this type of glass to being Moser. I believe you cruet could be Moser. It has the good cranberry color, gold decoration and quality. Now, they still produce this type cruet today. With out holding your piece in my hand, it might prove hard to say it really is Moser. The thickness of the glass and holding the piece to the side, you can see the gold cranberry color trapped inside the clear. If this is not possible, it is a fake and might be what they call ,"flash." Which means painted. Today there is a process to make cranberry glass with out adding the gold. The color is off , more dark pink and usually very thick. Your piece appears to be real. I would guess this piece was made in the late part of the 1900's. But as I mentioned before, could be newer, as they are still making pieces like this. With out really seeing and holding it, I would guess in today's market, I would price it at $95 to $110.00 I hope this helped.